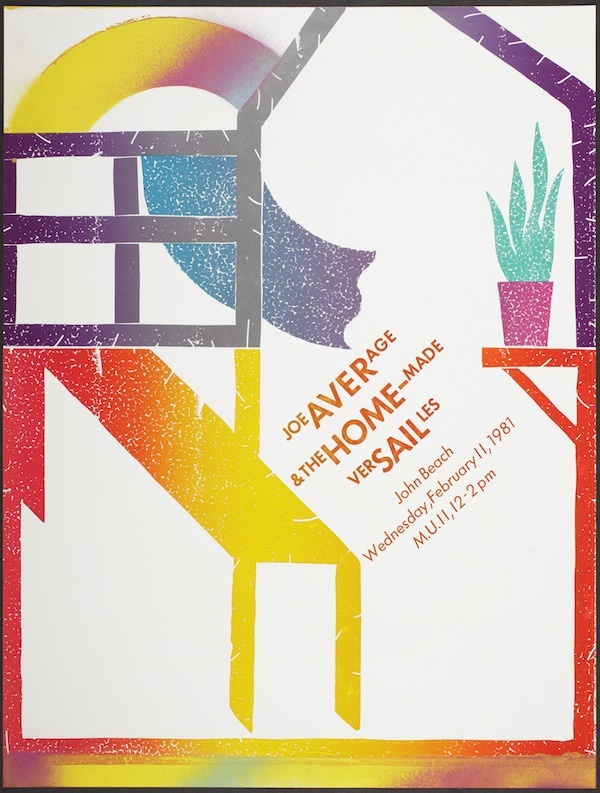 This June LACMA received a wonderful gift of over 500 posters from Marc Treib, professor emeritus of architecture at the University of California, Berkeley. In addition to his notable career as a historian of architecture and landscape, Treib is an accomplished graphic designer whose work has been the subject of several exhibitions and international publications. 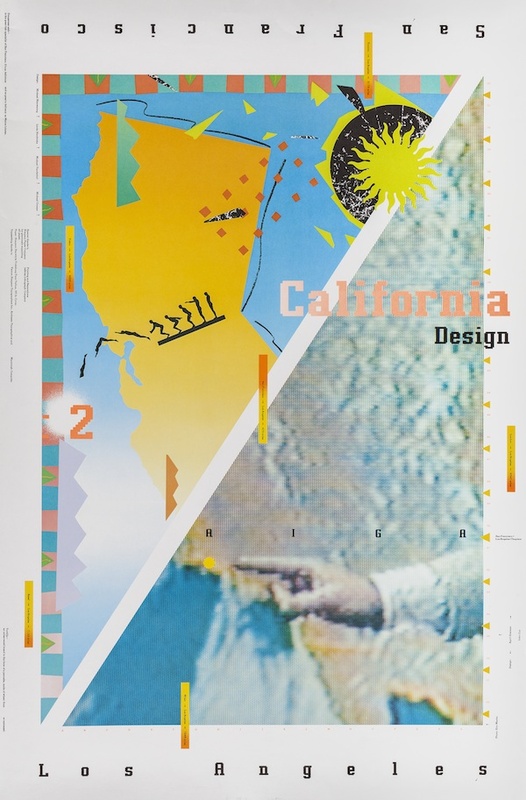 A founding gift of LACMA’s new interdepartmental initiative to collect graphic design, this donation provides significant holdings of international posters from the 1960s to the 1980s. Staci Steinberger, assistant curator of Decorative Arts and Design, interviewed Treib about how he built this impressive collection, as well as his own design work. Staci Steinberger: What inspired you to start a collection? Marc Treib: I never really intended to create a collection as such. But as my interests broadened from architecture, which I had first studied in the university, to other forms of design, of course graphic design was of interest. Some posters were typical student acquisitions to brighten the walls; others just interested me for their illustration, typography, or color. Actually it was a bit of a shock to find that I have acquired so many posters over the years, some of which I used for teaching, others for exhibitions, and others to inform my own design work. SS: Many of your posters were collected while you were living and teaching abroad. Did the graphic design culture in any of these places strike you as particularly distinct? MT: First of all, I was interested that poster culture was still thriving in these countries. 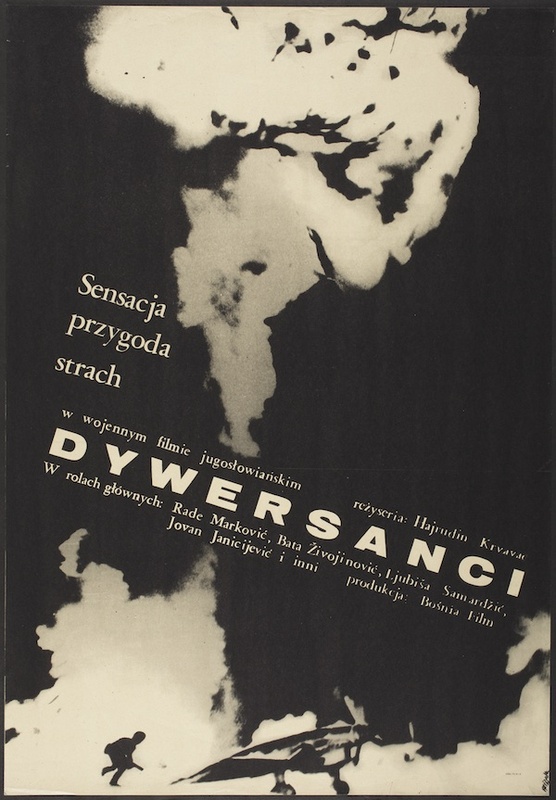 I visited Poland in the late 1960s and found that their vibrant designs responded to a very active theater and film culture, but also were shaped by the limited means available to designers. The paper stock was poor and type fonts were limited. The designers I met there were amazing illustrators who could draw the fonts to which they had no access, as well as the primary illustration. In Japan, that characteristic sensibility of spare richness also informed their graphic design. And with the millions of people using the trains each day the poster was a viable form of advertising. I often found a residual surrealism in many of the posters that relied on photography, and perhaps also in their use of illustration. 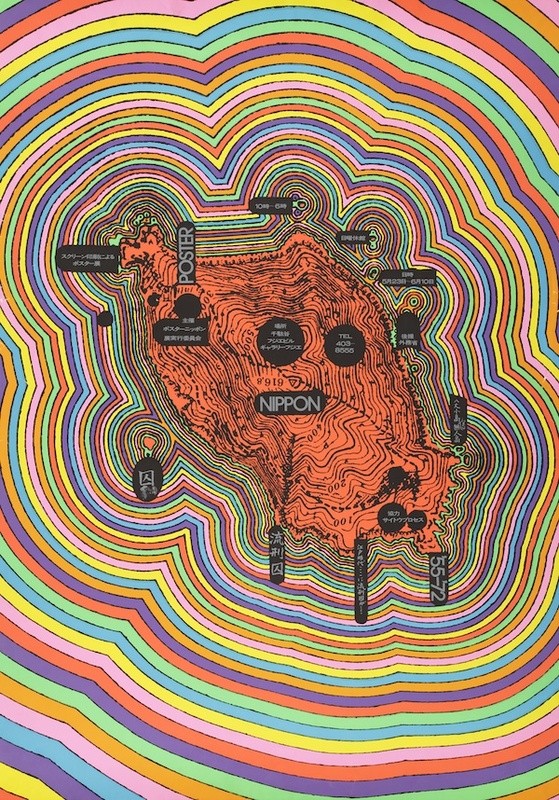 On my first visit to Japan, I got to know Tadanori Yokoo, Kiyoshi Awazu, and several other designers who kindly gave me a number of their works. SS: One of the many reasons we were so excited about having this collection come to LACMA was that your collection really captures some of the exciting things that happened in California in the 1960s through the 1980s—from psychedelic rock and protest posters to New Wave. Do you have any thoughts on California design in that period? MT: “California” was not one thing of course, and I constructed my own version by approaching designers whose work interested me. (I was born in New York, came out to Berkeley for one year in graduate school, and have been here ever since.) So over the years I wrote for Print magazine about orange crate labels, the painted billboards on the Sunset Strip, the pig murals on the Farmer John’s factory in Vernon, martini glasses as bar signs, and other things that caught my eye. In Print and the Japanese magazine Idea, I also wrote profiles on people like April Greiman and Bruce Montgomery, the former splashing out of Basel into collage, the latter representing an intelligent approach to art museum catalogue design. SS: Your gift to the museum includes a selection of the posters you designed for lectures and productions at UC Berkeley. Can you describe your process for designing these? MT: When I took on the role of lecture series chair for the Department of Architecture, there was neither money for the lectures nor their announcement. I began publicity for the series by making 8.5″ x 11” posters using “spirit duplication,” more commonly known as “Ditto.” It was the common means for producing school handouts and exams, paper with a wonderful smell (but not quite enough to get you high). Since we produced only about 25 copies of each lecture poster for distribution within Wurster Hall (home of the College of Environmental Design), diazo was a cost-effective method for producing a large format piece at low cost (total budget for many of the posters at that time was about $30 for 25 copies). On some posters I colored the images or collaged materials onto the diazo print, or folded them into three dimensions. All hand work, naturally, but there were relatively few copies made and often students would help. Almost all of the posters for the lecture series were designed and produced in one night, and reproduced the following day. Sometimes I was doing two or more a week during the academic year. In all, I think there were about 300 of them, some of which I would never like to see again. SS: What made you decide to donate the posters to LACMA? What are your hopes for the collection’s future? MT: For one, I have been in a mood to reduce my possessions—all but the books, of course. 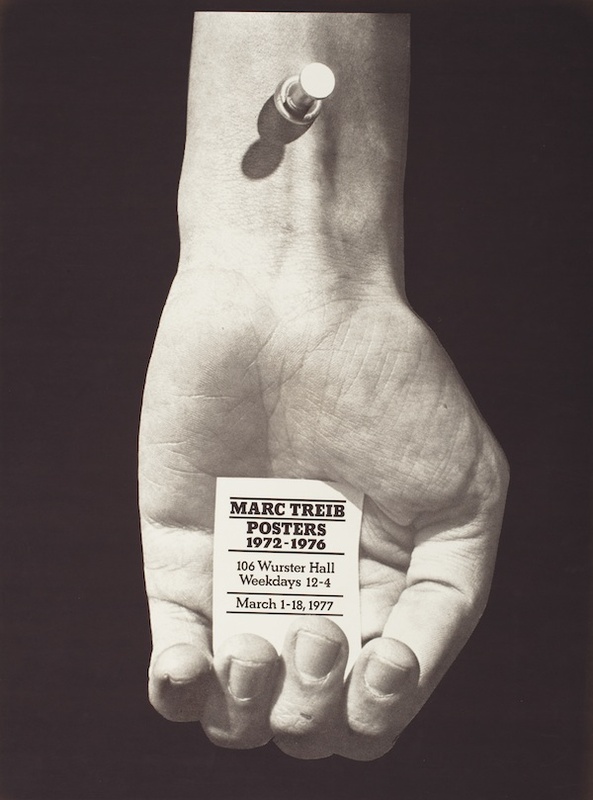 I first approached Wendy Kaplan [curator and department head, Decorative Arts and Design] a couple of years ago about LACMA’s possible interest in the posters. My sole requirement was that I wanted the museum to take a substantial part of what had become a collection now almost 50 years old, and that they would stay together as a group. It took a while to make it happen, but I am very pleased that LACMA accepted over 500 of the posters. This entry was posted on Wednesday, August 20th, 2014 at 8:00 am and is filed under Uncategorized. You can follow any responses to this entry through the RSS 2.0 feed. You can leave a response, or trackback from your own site.